Bhaiaji Superhit Box Office Collections Day 2: Has A Dull Saturday Too! This is what happens when you have a flurry of releases and none of them has been doing great. Bhaiaji Superhit is suffering due to the fate meted upon Yamla Pagla Deewana Phir Se and Mohalla Assi, both of which turned out to be disasters. No wonder, interest level in this latest release of Sunny Deol wasn’t good either and the fact that it is a six year old film further made its prospects bleak. This was evidenced from the token release it got and then poor feedback that came its way from most quarters. Even though it is a better film compared to the rest, it hardly matters in the biggest scheme of things since audiences are just not coming. With just 1.15 crore* more coming in on Saturday, the Neeraj Pathak directed film is currently standing at 2.15 crore* and have just about managed to go past the opening day numbers of Yamla Pagla Deewana Phir Se [1.75 crore] and (expected) lifetime total of Mohalla Assi [2 crore]. A disaster, this too is a film that should have found a straight-to-digital release. Ranveer Singh VS Mahesh Babu: Who Nailed This Action-Packed Thums Up Ad? VOTE NOW! 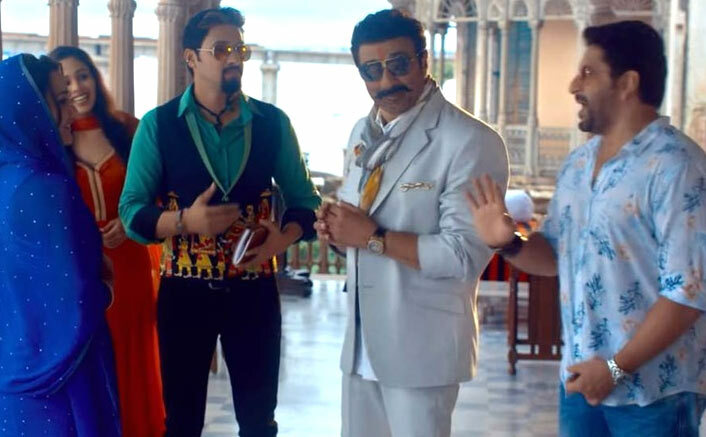 The post Bhaiaji Superhit Box Office Collections Day 2: Has A Dull Saturday Too! appeared first on Koimoi. Bhaiaji Superhit Box Office Collections Day 1: Opens Lesser Than Expected! Ek Ladki Ko Dekha Toh Aisa Laga Box Office Day 2: Has Better Collections On Saturday!